The 24th Conference of the Parties to the United Nations Framework Convention on Climate Change (COP24) has started in Katowice, Poland. During COP24, the Polish Presidency plans to focus its attention on three key topics: Technology, to show that there are climate-friendly modern solutions, such as electromobility allowing for sustainable urban development, clean air and an opportunity for modern jobs. Human, emphasizing the need to lead change together with people through solidarity and fair transformation of regions and industrial sectors. And nature, including multifunctional and sustainable forest management as part of climate neutrality and the role of forests as greenhouse gas sinks, and support for a synergic view of the three UN key conventions on climate, on biodiversity and on desertification. There are several events happening at COP24 in which LEDS GP is either hosting or speaking at. In this special issue newsletter, we bring these events to your attention. We look forward to seeing you at COP24. This side event will present the results of the study on transport emission mapping and capacity building in five cities in Africa as well as methods to capture data. The event will provide an opportunity for discussions on how low carbon infrastructure can boost social and economic development. LEDS GP is pleased to be a presenter at this event highlighting opportunities for sustainable transport solutions for Africa. At this side event, the Governments of Vietnam will showcase recent lessons in taking forward its NDC targets. The event will offer insights into the LEDS Global Partnership and the NDC Partnership available services and resources to support developing countries in achieving NDC goals. It will also highlight the success of LEDS GP Communities of Practice in fostering peer-to-peer learning amongst developing countries to achieve NDC goals. This event will feature distinguished representatives from government and non-governmental sectors from various countries working on policies and programs that are resulting from these communities. 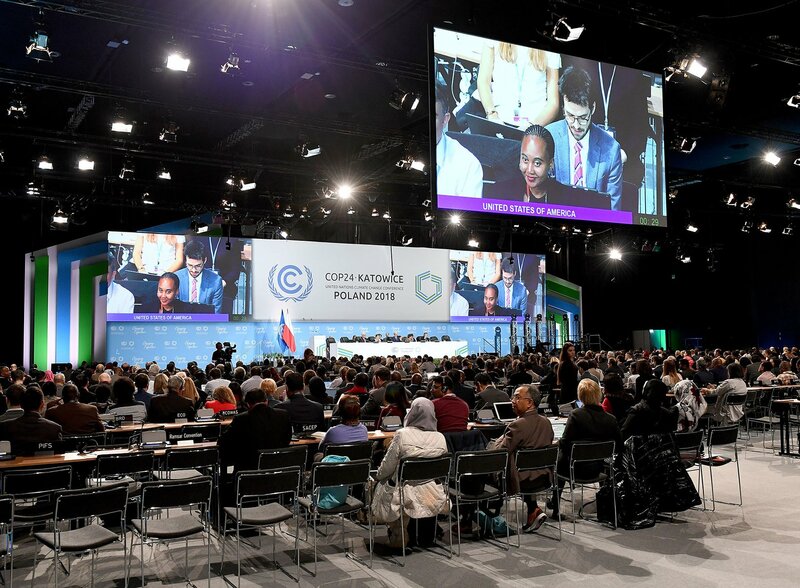 The 24th Conference of the Parties to the United Nations Framework Convention on Climate Change (COP24) has started to take place in Katowice, Poland.